It's no surprise that cats love the freshness of now. With this Now Fresh Kitten Recipe, your kitty gets 100% fresh turkey, salmon and duck, and 100% fresh omega 3 & 6 oils from coconuts and canola. It also features wholesome berries, fruits and veggies such as peas, spinach, cranberries, pumpkin, blackberries, alfalfa sprouts, kelp, lentils and carrots. Yum! 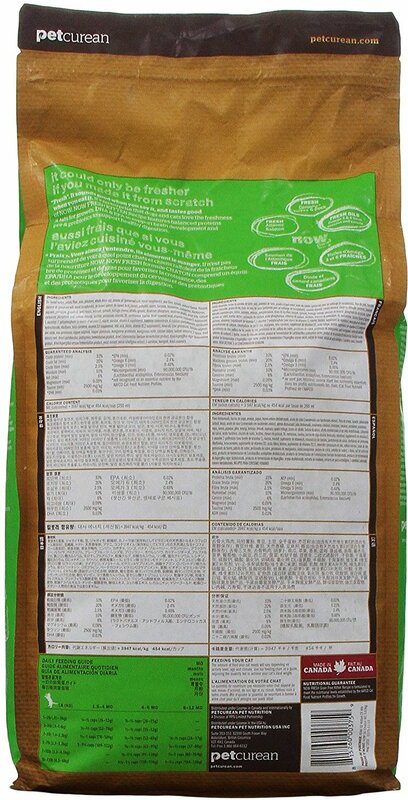 It contains zero grains, gluten, wheat, beef, corn, soy, rendered meats, by-products or artificial preservatives. This recipe is suitable for kittens under 12 months of age. De-Boned Turkey, Potato Flour, Peas, Potatoes, Whole Dried Egg, Canola Oil (Preserved with Mixed Tocopherols), Pea Fiber, Tomato, Natural Flavor, Flaxseed, Coconut Oil (Preserved with Mixed Tocopherols), De-Boned Salmon, De-Boned Duck, Carrots, Pumpkin, Apples, Bananas, Blueberries, Cranberries, Blackberries, Papayas, Pineapple, Grapefruit, Lentil Beans, Broccoli, Spinach, Cottage Cheese, Alfalfa Sprouts, Dicalcium Phosphate, Sundried Alfalfa, Dried Kelp, Calcium Carbonate, Phosphoric Acid, Sodium Chloride, Lecithin, Potassium Chloride, Dl-Methionine, Taurine, Dried Seaweed Meal, Vitamins (Vitamin E Supplement, L-Ascorbyl-2-Polyphosphate (a Source of Vitamin C), Niacin, Inositol, Vitamin A Supplement, Thiamine Mononitrate, D-Calcium Pantothenate, Pyridoxine Hydrochloride, Riboflavin, Beta-Carotene, Vitamin D3 Supplement, Folic Acid, Biotin, Vitamin B12 Supplement), Minerals (Zinc Proteinate, Ferrous Sulphate, Zinc Oxide, Iron Proteinate, Copper Sulphate, Copper Proteinate, Manganese Proteinate, Manganous Oxide, Calcium Iodate, Sodium Selenite), L-Lysine, Dried Chicory Root, Dried Lactobacillus Acidophilus Fermentation Product, Dried Enterococcus Faecium Fermentation Product, Dried Aspergillus Niger Fermentation Product, Dried Aspergillus Oryzae Fermentation Product, Yeast Extract, Yucca Schidigera Extract, L-Carnitine, Marigold, Dried Rosemary. 3 stars because I think my cat likes this, but I'm still not 100% sure. I'm mixing it with another dry food I got her because she needs the extra calories from the other food. My Sphynx kitten loves it!!! She likes it even more than soft food! My kitten and my 2 year old cat LOVE this food. It makes their black coats glossy. 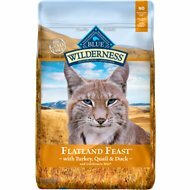 This food has also helped my 2 year old cat with some digestive issues. Bought it for my newly adopted kittens and they would not eat it. Been feeding Petcurean products for a while and one of the few producing kibble that truly has quality ingredients. My kitten loves it and I free feed this as an adjunct to a raw diet. It is small kibble and easily eaten by kittens. I like this food because it's out of Canada, hasn't had any significant recalls (if any at all,) and has protein sources other than chicken. The only issue I have is that I, and my cat, prefer Orijen but Chewy.com stopped selling it and we can't get it at any retailers within 100 miles. 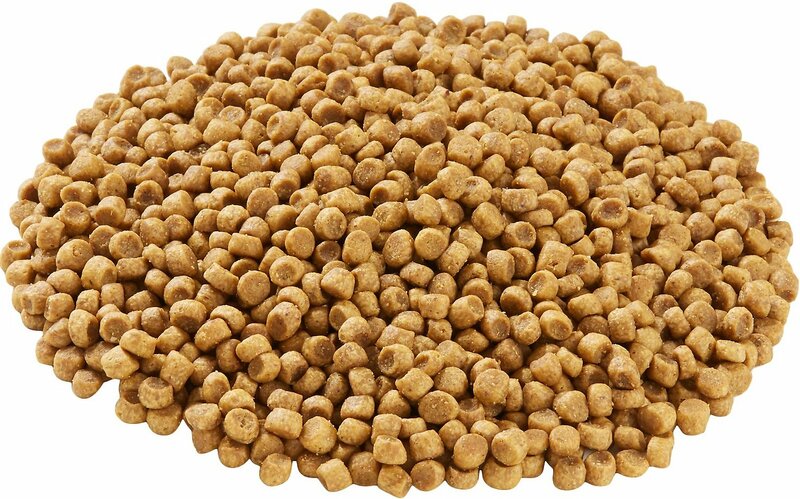 I started feeding my cats Now Fresh after doing a lot of research on "the best cat food" (no joke) because one of my cats started throwing up a lot. Now Fresh is amazing for sensitive tummies and I would not change to any other food. I've now started fostering kittens and they also tend to have sensitive digestive systems. I noticed that other kitten food gave them upset tummies and I changed to Now Fresh Kitten - it's amazing. The kittens love it (they devour it!) and their tummies (and bums) are a-ok. When our three would not eat this, we tried giving it to my daughter's bunch. None of her five cats would eat it, either. My kitten has been on this food since he was 5 weeks old he is 6 months now. I ordered from chewy because it was cheaper than where I was buying from. Now that they raised the price again I won't buy again from chewy but the food is wonderful.